LISTENING AND LEARNING - The Rough Notes Company Inc. The CHART Exchange has taken Mr. Churchill’s advice to heart. From the outset, we have been somewhat of an outlier in the industry. CHART focused its attention on a unique segment within a niche: domestic wholesale and specialty agencies that are interested in establishing a business relationship with the world’s oldest and most recognized insurance brand—Lloyd’s of London. Our goal was to organically grow this target marketplace through the identification and pursuit of new business opportunities. Our team believed there was fertile room for growth in this arena. There are currently a little more than 1,000 U.S.-based agencies holding delegated underwriting authorities from Lloyd’s (referred to as “coverholders”). The production these entities generate contributes to the $15 billion Lloyd’s writes in the United States. Over 41% of Lloyd’s global premiums are held by domestic customers. These facts serve to illustrate both the diversity of London’s risk appetite and the level of opportunity available for new producers. CHART enters the New Year more strongly positioned to deliver optimal benefit for wholesale and specialty agencies that seek access to Lloyd’s. We launched CHART in 2015. The culmination of each year’s efforts was an elegant three-day event. These meetings offered workshops, presentations, and networking opportunities—all with a Lloyd’s-centric theme. Our team strived to create an atmosphere that would foster open dialogue between domestic agencies and syndicate underwriters. CHART partnered with several London brokers to provide assistance in identifying the most compatible risk takers for each prospective program, setting up appointments, and shepherding interested parties through the evaluation process. A look at the results posted over our relatively brief history demonstrates our impact in the U.S./London marketplace. Since CHART’s inception, a number of new business opportunities representing $173 million in premium have been presented to Lloyd’s syndicates. Twelve new coverholders have been appointed as a direct result of CHART’s efforts. Parties don’t let business get done. Opulent venues, cocktail receptions, notable keynote speakers, and so on are the hallmarks of most industry events. As entertaining as these activities may be, they may actually detract from the core reason for participation—to further the attendees’ business interests. Where’s the service after (or even before) the sale? Many domestic agencies became involved with CHART because they were unfamiliar with the Lloyd’s marketplace. Our London broker partners admirably performed their role as guides: identifying potential partners, negotiating binder contracts, and so on. As excellent as this service was, many firms expected much more of a “cradle-to-grave” commitment from us. There was a perceived need for assistance on the front end (business proposal development, actuarial analysis, legal, compliance, etc., as well as after the agreements had been executed (expansion of existing distribution channels, exploration of cross-sell opportunities, and more). Following up on 300 attendees overwhelms any partnership. When a task becomes too large, some prospects get left behind. Separation anxiety. A number of agency principals wanted to attend our CHART events but did not feel comfortable being away from their office for three or more days. The cost of travel and the meeting registration fee were other factors that prevented a number of potential attendees from participating. We took a brief step back in 2018 to critically evaluate every aspect of the CHART Exchange operating model. Our team asked members and meeting attendees for assistance in finding the answers to some important questions. Is a collegial organizational structure the best way to generate growth in the U.S./London marketplace? Will a more business-centric approach allow us to achieve our goals and objectives? CHART enters the New Year more strongly positioned to deliver optimal benefit for wholesale and specialty agencies that seek access to Lloyd’s. Several features will be introduced throughout 2019. The organization now is able to handle Lloyd’s placements through an in-house brokerage facility. This acquisition fills in the only missing piece that had prevented us from acting as a comprehensive provider for CHART’s agency clients. Our placement facility will help our clients on both sides of the Atlantic. In addition to the standard London placement services, the CHART team can help with legal, R&D, and even marketing for our specialist clients. Why is this important? Under our previous model, our team used its expertise in the domestic insurance market to help agencies evaluate potential program opportunities, build compelling business proposals, and develop marketing strategies. At this stage the work would be submitted to an outside intermediary to handle business placement. The handoff can often cause delays, as the heretofore uninvolved broker must take the time to become familiar with the business plan, target niche, and so on. Also, the priorities of the submitting agency may not be shared by the London intermediary. This new dynamic will align all parties under the new structure. The CHART resources in place, both domestically and in the U.K., operate with a common goal: to serve as an advocate for our specialist clients. Many of the same staff members who assist in the development of program proposals are also involved in presenting it to markets in London. We believe this full-service approach differentiates us from others in the industry. CHART’s in-house facility can partner with London brokers who may possess the contacts and/or expertise required to obtain a solid placement. That said, agencies are not required to use CHART’s in-house placement capabilities to access our other offerings. Some entities may already possess existing London broker relationships; others may want the flexibility of establishing one on their own. Another component of our operating model that will be modified in 2019 is the frequency of CHART meetings. Previously they were held once a year in a city in the mid-Atlantic region of the United States. This is about to change, thanks in large part to our oldest and most valued business partner. Wilson Elser is a prestigious law firm with a well-deserved reputation in the areas of insurance coverage and defense. It has over 800 attorneys in 37 strategically located offices across the United States, with another in London. This depth and scale have combined to make it one of the nation’s most influential law firms, ranked in the Am Law 200 and the top 53 in the National Law Journal 500. Wilson Elser has a dedicated program department with significant expertise and contacts in London. Starting this year CHART will hold a series of meetings in Wilson Elser’s branch offices throughout the country. No registration fee will be assessed for wholesaler or specialty agencies. Each session will last for one day. These changes will yield a number of benefits for our attendees. First, the elimination of “frills” traditionally associated with industry events will allow for a more business-centric atmosphere. We also foresee more agency specialists taking advantage of the opportunity to learn more about the London market, as travel costs and the investment of time will be reduced. Finally, hosting the meeting in different locations will allow us to further customize the agenda. Local Wilson Elser attorneys will be available to address insurance and/or regulatory topics that are relevant to attendees in each meeting location. The first CHART event in 2019 will be held in Dallas on February 25. A minimum of two other meetings will be scheduled during the remainder of the year. One will be held in an east coast city and the other on the west coast. While developing CHART, we have met a number of specialist clients who have expressed concern over the length of time it takes to secure delegated underwriting authorities from London. Although they understand the need for due diligence, frustration has arisen over the delays in bringing a potentially great new program idea to market. Our team can provide a solution to this problem via an incubation initiative. With this facility we can team the new client with a firm that possesses the necessary underwriting authorities, state licenses, back-office administrative capabilities, and so on to transact business on behalf of Lloyd’s. Agreements made between the two parties before launch govern such issues as contract duration, duty segregation, revenue sharing, and expiration ownership. This solution inures to everyone’s benefit. Our final innovation for 2019 is CHART Markets. This facility can best be described as a shopping mall for coverages underwritten through the London market. We provide a web-based platform that is a virtual counterpart to a bricks and mortar shopping facility. Visitors can access an easy-to-use directory to conduct product searches, obtain assistance in placing unique/one-off risks, and learn more about the services offered by CHART’s network of vendor partners. The new facility was designed to give U.S. retail agents access to Lloyd’s-underwritten products. 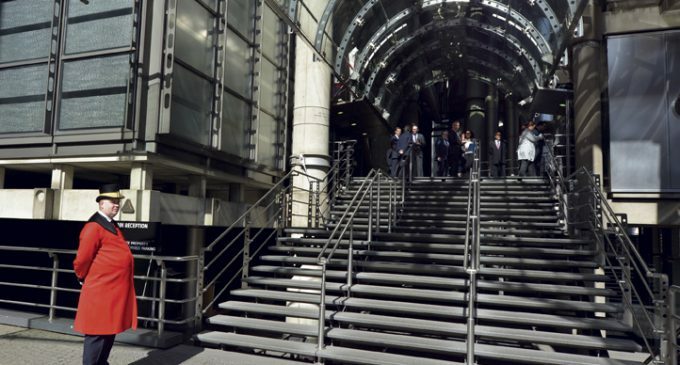 Our portfolio consists of the coverage offerings available through participating specialist clients who already possess delegated underwriting authorities through London. Each participant maintains its own customized storefront. These dedicated pages offer product information, submission instructions, and descriptions of preferred risk characteristics. CHART promotes the facility to the domestic retail agent community. We also can tailor marketing campaigns to help individual clients expand their current distribution channels or to focus attention on a specific product offering. Our response to Mr. Franklin: CHART hasn’t finished … we’ve only just begun. Coverholders and Risk Takers is a periodic column written by principals or “Early Adopters” of the CHART Exchange (www.chart-exchange.com). The group’s core mission is to facilitate more U.S./London commerce via personal interaction, education, and technology. Glenn W. Clark, CPCU, is owner and president of Rockwood Programs and the “Earliest Adopter” of the CHART Exchange. Email him at Glenn.Clark@rockwoodinsurance.com. CAN CYBER INSURANCE BE STANDARDIZED?